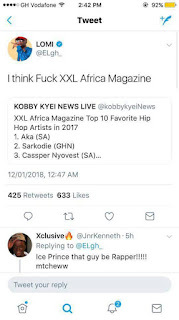 Twitter won't have been fan today after the self acclaimed "Best African Rapper" E.L had his name missing in XXXL African Magazine top 10 rappers in the continent. 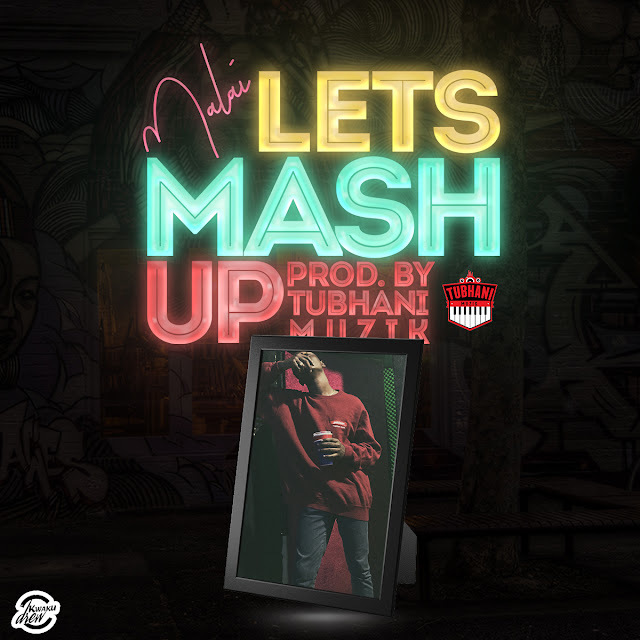 The list captured two Ghanaian rappers, Sarkodie and Manifest. 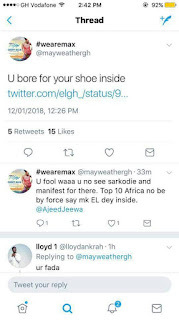 This seems not enough after the Koko hit maker expressed his disappointment in the online news journal for omitting his name for only to see a Twitter user by the handle @mayweathergh to tweet at him to add salt to injury. 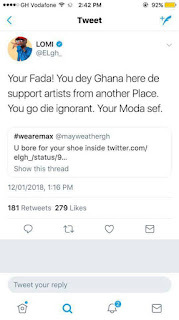 E.L who in return didn't seem pleased with the tweet also decended on @mayweathergh by tweeting "Your faya you dey Ghana here dey support artists from another place. You go die ignorant. 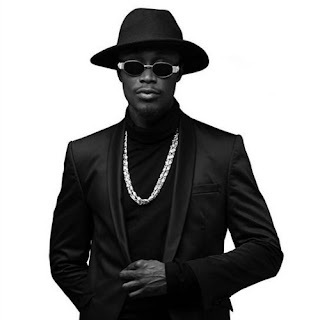 Your moda sef.